"As we see, class," I continued, "The great hero Odysseus–"
"He wasn't no great hero," interrupted Jasmine Getbadgrade. "He was a cheatin' punk!" "Yeah!" added John Nopass. "He was always blaming his crew." This is an interesting example of how point of view can change a story completely. Have your students practice writing by recasting a scene from The Odyssey from other characters' perspectives. Rewrite an adventure from The Odyssey from the point of view of another character. The rewrite can be funny or serious. Prewriting – Make a list of Odysseus's adventures. Choose the one that would make the best rewrite. For example, how would Polyphemus feel about his cave being broken into? What would Zeus say about Odysseus falling asleep during his prayer as his crew ate the Cattle of the Sun? Furthermore, what would his crew say about being abandoned by their leader? How might Penelope react to Odysseus's philandering ways on the high seas? Prewriting – After you have chosen the adventure, list the characters involved. Choose a character with an interesting viewpoint, preferably contrary to Odysseus's viewpoint. Drafting – Begin by developing the character. Very few characters in The Odyssey are developed in detail. Introduce your character at the beginning of the story, his or her role in the event, and what the point of view is. 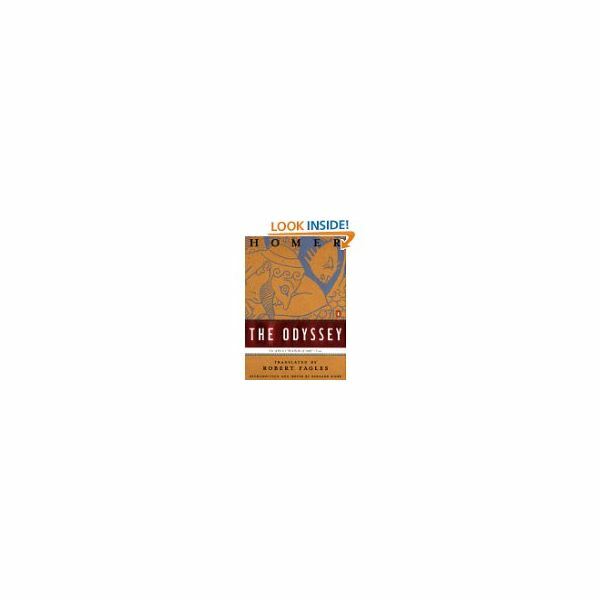 Drafting – Make sure the plot of your story coincides with the plot of The Odyssey. Revising – Make sure plot details are accurate. Pay attention to details such as who died, who was injured, how long the episode lasted. Revising – Make sure the character is established and has a distinct point of view on the adventure. We're not looking for a paraphrased version of Odysseus's account. Revising – Make sure the narrator is believable and stays in character. The narrator should react in a way consistent with his attributes. Revising – This is a personal account. Add details for believability. Hi, my name is Scylla. I'm very hungry. I haven't eaten a sailor in days. People think it's cool having six heads, and it is. I wish I could travel some. Two years ago I dined on a boat full of Italian sailors. I love Italian food. Oh, wait! I see a boat! It's full of Greek sailors. Greek food is pretty good. They're trying to steer away. Good thing I hired that whirlpool, Charibdis, a few years ago. Too much of my food was escaping.